Updated Saturday, December 1 at 2:08 p.m. The Camp Fire in Butte County, which is now 100 percent contained, is the deadliest wildfire in modern California history. The blaze killed at least 88 people, with more than 200 still unaccounted for. 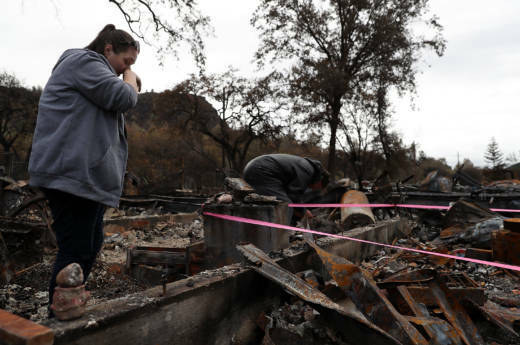 Cal Fire estimates the fire destroyed more than 15,800 structures, including thousands of single residences, mainly in and around Paradise, a town of 27,000 in the Sierra foothills east of Chico. The state Attorney General's office has information and tips on avoiding disaster-related charity scams. On December 1, a Hope Center representative said the organization was accepting material donations for certain items at the Oroville Municipal Auditorium at 1200 Myers St. in Downtown Oroville. Items should be in new condition. Check for updates on the Hope Center's donation needs here.